The Incan Empire existed from 1438 to 1533 and is one of the most revered civilizations ever. The Incas were a powerful force worshipping beauty, the sun and gold. They had a custom of choosing the most beautiful girls who were put into the service of the Sun God and its representatives. Incan Goddess is a 5 Reel, 20 Payline Progressive Video Slot. Featuring Wilds, Scatters, Multiplier and Free Spins with a Double-or-Something feature. 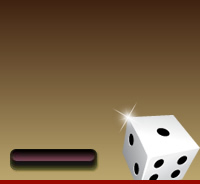 Betting starts from 0.20 to 5.00 per line, and from 0.20 up to 100.00 per spin. The betting total must be at least 0.10 to get a chance at winning the Progressive Jackpot. The Wild substitutes for all other symbols except the Scatters to create winning combinations. Land 5 Wild Goddess symbols to win 5 000 coins. When 2 or more Temples appear anywhere on the reels the payout will be multiplied. 2Temples pay 2x, 3 Temples pay 3x, 4 Temples pay 10x, 5 Temples pay 100x. 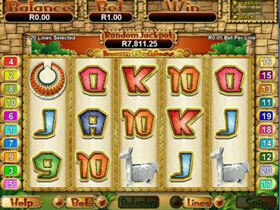 Land 3or more Scatters anywhere on the 5 reels to be awarded 12 Free games. All wins during the Free Spins get doubled. The Free spins feature can be re-triggered. Land any 5 of a kind to win this feature. Players get to choose Red or Black for a chance to Double the 5 of a kind win. If the wrong one is chosen the original amount will still be won. This slot offers fantastic opportunities to win that gold! The addition of Double Bonus makes this game stand out from others. Allow the beautiful Incan Goddess to turn your world around with her mystical powers!